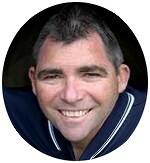 The Next Leader of the National Party – Where Do They Stand On Key Family Issues? 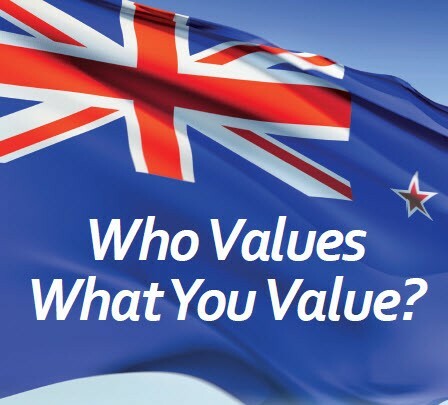 by McBlog • 20 February 2018 • Comments Off on The Next Leader of the National Party – Where Do They Stand On Key Family Issues? With the sudden announcement of Bill English retiring from politics and leadership of the National Party, the battle is now on for a new leader (and ultimately the alternative Prime Minister if there was a change of government). Below is a brief summary of the potential candidates for the position and how they’ve voted since 2002 on some key (and contentious) issues. 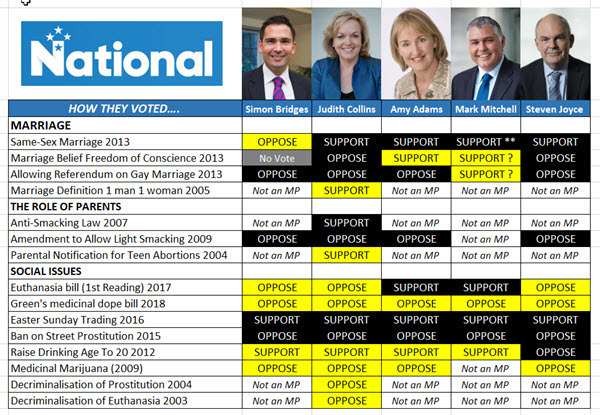 It is important to note that Judith Collins has been in Parliament the longest and voted on some of the social engineering of the Clark-led government. For a full explanation of the voting issues listed, DOWNLOAD our VALUE YOUR VOTE 2017 pamphlet which details them all. As you can quickly see from our analysis, there are some candidates for the next leader who we would argue are more ‘family-friendly’ and with conservative values than other candidates – in our view. Let’s hope that the National caucus agrees.